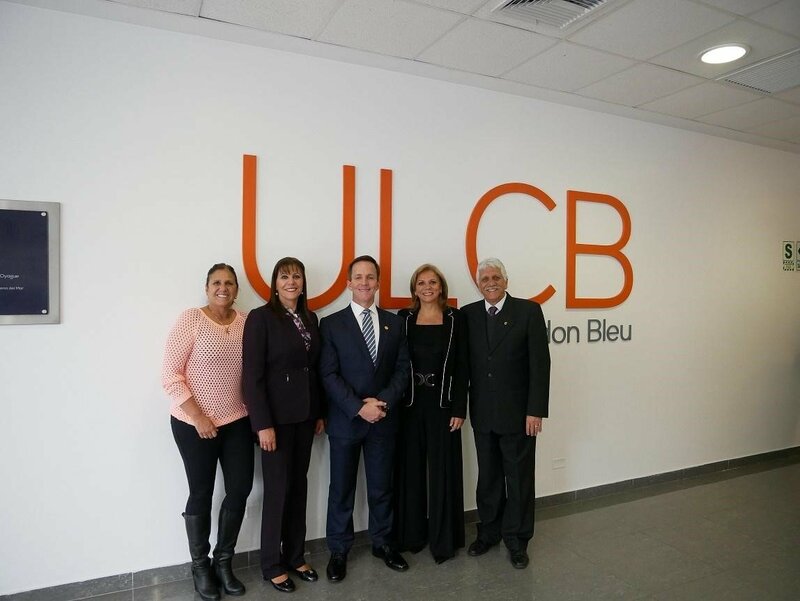 The new headquarters of the Le Cordon Bleu University located in the district of Magdalena del Mar is the first and only university of the world leaders in gastronomy, hospitality, administration and management. The inauguration ceremony was attended by the rector of the University, Dr. Esteban Horna Bances, the Vice-rector, Dr. Augusto Dalmau, the General Manager, Patricia Dalmau de Galfré and the district mayor, Francis Allison Oyague, who unveiled the plaque in the presence of the administrative staff, guests and students from the house of studies. The rector of the University, Dr. Esteban Horna, announced the challenges that Le Cordon Bleu has to promote social, academic and research projects that contribute to improve the sector for which he considered of great importance to work with local authorities and institutions, this synergy will always be favorable for the country, specially to young people committed in building a better country. The mayor of the district, Francis Allison Oyague, remarked the importance of having an educational entity of international recognition in the food sector and the tourism industry. Besides, he announced the effort of the city hall to promote business initiatives and social development aimed to improve hospitality services, “It is good that young people from the district and other places in Peru come to Magdalena to receive training and learn how to manage this activity that has future in the country”, indicated mayor Allison. The Le Cordon Bleu University offers 4 professional careers, each one with 10 academic semesters: Hotels and Tourism Business Administration, Nutrition and Food Techniques, Engineering in Food industries and Gastronomy and Business Management. During the ceremony the “Sixtilio Dalmau” library also opened as part of the modern facilities that the new headquarters offer to its students.